The time has come to talk a little about Naruto Shippuden in it’s entirety. Here I’ll cover and review the anime Naruto Shippuden from the very start to the end. I’ll cover the anime briefly as there are quite a lot of episodes and stories to go through. In terms of anime fillers, I usually always give these a lower score because well, they’re fillers and don’t really take my fancy. Naruto anime is known for it’s wide audience and the large number of fans around the world. Naruto Shippuden was a time skip from the first batch of anime episodes as we continue on with a much older Naruto, along with a number of fantastic arcs following the disappearance of Sasuke. So do you remember them? Well these are some of the main arcs within the anime which were written within the manga. So lets begin with the animation, well its safe to say that the animation definitely wasn’t on part with some of the other animation of many other shows. Compared to Naruto original series, it definitely was a step up, but not the biggest as they were still stuck making weekly episodes. The animation was never consistent, one episode it would be really good but the next would absolute trash. The sounds, or rather the OST were pretty good, I remember the songs and sound tracks that were featured within the first Naruto series, and whenever they reuse those soundtracks, it always hypes and brings a lot of memories back from the first series, which is awesome I think. Naruto Shippuden has been awesome, for me personally, I really like the fights and what Naruto as a franchise has developed into. It’s something that everyone can watch, relate and even enjoy. This is why I really like and what I think the show has greatly strive towards. I personally like to see the awesome characters fight it out but the underlying message has always stayed with the show regardless of the episode. With all of this mentioned, what are your thoughts on Naruto Shippuden as a series? Go ahead and comment down below and tell us what you’d rate Naruto Shippuden. This rating you have Naruto Shippuden is quite accurate. I really enjoyed this show, but some things did bother. The animation is definitely one of them, as you mentioned. The other was the pacing. Sometimes it would take forever to set up a major battle or character, and other times it would be rushed. I also had mix feelings with the antagonists of Shippuden. Don’t get me wrong, most of them are good, but some are either poorly written or just plain annoy me. Madara had an epic intro and decent back story, but towards the he started to annoy me. Probably when he unleashed 10 tailed beast. The Akatsuki were more good than bad. The members I like are Itachi, Pain, Konan, and Hidan. The members I didn’t like were Sasori, Kakuzu, Kisame, and Deidera. I like the four mentioned because they had the most developed personality. Itachi’s entire back story is well written, Pain and Konan are flesh out very well, especially when they repent in the end. And I know Hidan really didn’t have a very developed personality, but he was just enjoyable. Kakuzu and Kisame were boring to me. Kisame’s tension with Itachi was cool but that’s it. Sasori and Deidera just annoyed the hell out of me and Zetsu is neutral for me because sometimes he’s cool, but other times he’s annoying and useless as a character. I do like the Four Kage, Tsunade was my favorite. I hated Sasuke and Sakura for the longest time until towards the end. Naruto was always likeable for me. I do not like Kaguya because she wasn’t foreshadowed at all before she was introduced. 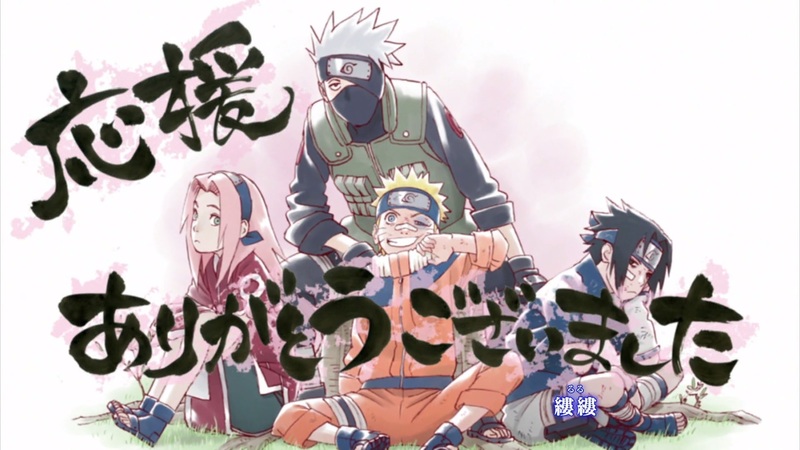 I loved watching Naruto, and throughout the extraordinary amount of time I spent on this anime, the characters really grew on me, the plot I felt was great and action packed, and there was always this goal that they wanted to achieve. I agree the art wasn’t the best, but it still gave me a nostalgic feel whenever I watched it, so that was nice. Naruto wasn’t perfect, however, and I had some major issues with it. One was the fact that they constantly repeated things, like flashbacks, until I could practically memorize them. And the fights dragged on a lot and there was a lot of talking. I felt the conflicts with some of the characters as well ended very suddenly, but I guess it couldn’t be helped since they needed to be settled and there wasn’t really any way for them to be settled. Overall, I really liked Naruto, but I felt it could have been improved a lot. It was still enjoyable and I definitely miss the characters. its your first review or you already review Bleach? Naruto was the best. I do not think anything is perfect in this world, talk less of an anime. So, I never expected it to be perfect. It was just the right type of anime for me and I instantly fell in love with it. From where am from – (Nigeria) -, anime isn’t really the preferable choice of topic for discussion even with your closest pals. Whilst even among other anime watchers, it could be difficult to talk about it. So, it pretty much ends up being a personal thing for most watchers. Naruto was a mindset, a state of being. In fact, I remember asking myself the question “What would Naruto do ?” in difficult situations I found myself – at college then, and my office job nowadays. Bleach was the first anime I watched and personally my second best, but it doesn’t come close to what Naruto Shippuden was to me. I preferred watching the Subs” and practically memorized all opening and ending OST in Japanese (Gosh, It was amazing). From waiting every Thursday here in Nigeria to be able to download that week’s episode, to dancing to the OST full version in my room – to those many nights thinking of what could happen and how it would end finally. Well, it has (holding back tears), and I guess I’d have to settle for Boruto now. In the meantime, I’m trying out other animes like Tokyo ghoul, FMA, Akame ga kill, Kekai Sensei, AOT etc. But none comes close. Thanks Naruto Shippuden et Kishi et Tokyo tv7 for the best memories in the past 8 years. Gatto go before I get all mushy. Sayonara! Oh man, you’ve written something awesome. When the anime ended, I also felt a whole especially when you realise that there wont be anything next week.